It’s accepted that the music business has its ups and downs, but few have experienced its extreme peaks and valleys as radically as the Muscle Shoals-based Secret Sisters. Laura and Lydia Rogers (a.k.a. 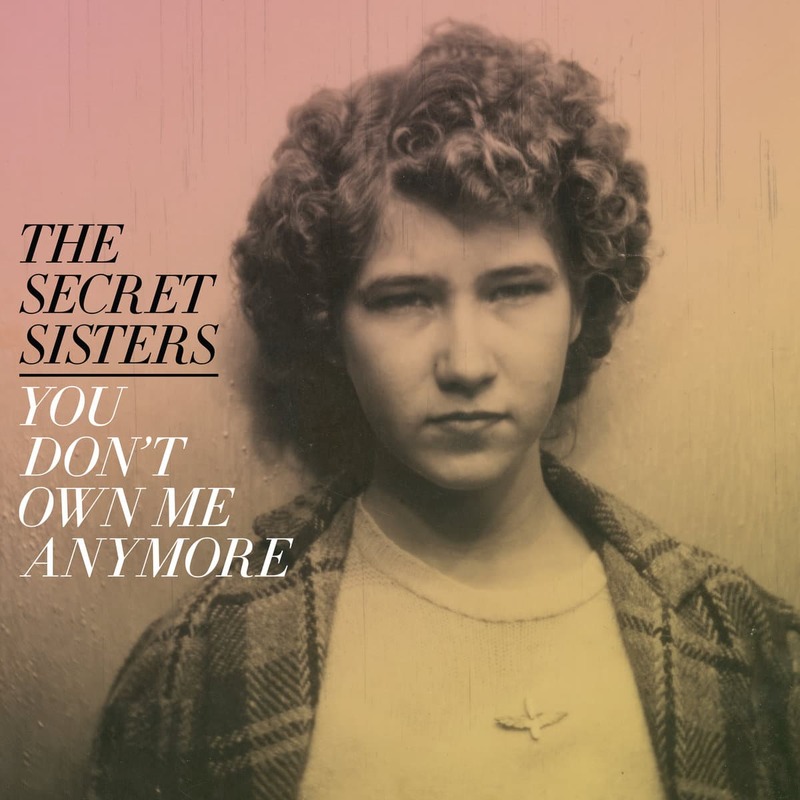 the Secret Sisters) went from having their first releases produced by such roots icons as T Bone Burnett, Dave Cobb and Jack White, touring with or opening for Levon Helm, Bob Dylan, Paul Simon and Willie Nelson and amassing a bulging file of critical raves, to filing for bankruptcy in 2014 with Laura taking a job cleaning houses to pay bills. Enter Brandi Carlile, who offered to produce and play on the Sisters’ third full length, and a successful PledgeMusic campaign that exceeded its goal in about a month to fund the proceedings. Signing with respected roots indie imprint New West sets the stage for an unexpected but highly anticipated comeback for the talented duo. Anyone who has heard the Sisters’ previous work knows how seamlessly and effortlessly they harmonize, so that’s table stakes here. But it’s the honest songwriting, sympathetic arrangements and subtle playing on these dozen tunes that combines to create a perfect storm of artistic ambition all the more rewarding coming after the Sisters’ recent problems that would have sunk less ambitious acts. Not surprisingly that has birthed songs about standing up to deception, adversity, scummy guys, salvation through integrity and an overall reliance on philosophical strength. As the album’s name implies, some of the sisters’ issues seem romantically generated. That’s especially true on “To All the Girls that Cry” (“When he makes a promise/ that he doesn’t mean to keep … it’s alright to spend your night/ In tears ‘til the fire dies”) where their angelic voices are set to mournful cello and piano. The same goes for the unsettling “The Damage” (“If it’s a race we were running, you’ve already won/ shot me with the starting gun”), and the defiant title track (“Now I’ve learned my lesson/ love is not possession”), a striking folk-rocker that reflects the duo’s steely reserve. The opening “Tennessee River Runs Low” features just the harmonious voices of the sisters before banjo and an acoustic band kick in as they correlate the titular river with a rocky relationship. Other than the jaunty, finger-popping “King Cotton” that expresses a love for their home state of Alabama, there isn’t a lot of joy here. Even a glistening cover of Paul Simon’s lovely “Kathy’s Song,” with just acoustic guitar and cello, reverberates with loss and anguish (“I don’t know why I spend my time/ writing songs I can’t believe/ with words that tear and strain to rhyme”). Carlile perfectly frames these songs with accompaniment that keeps them from getting mired in darkness. She focuses on Laura and Lydia’s iridescent voices and sparkling harmonies, a contrast to the issues presented that show everything may not be philosophically harmonious in the Secret Sisters’ world. You Don’t Own Me Anymore is a strong, welcome return and a reminder of just how powerful and moving the merging of two stunning voices can be.